This page shows postcards and images of the Dartmouth Riverboats from 2010. 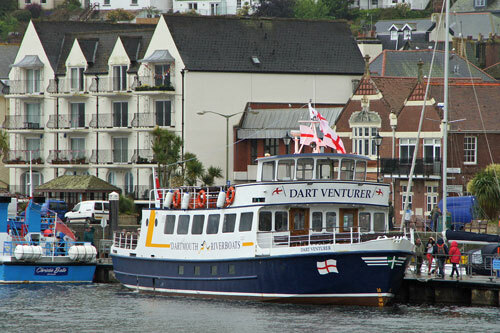 The company previously operated as Dart Pleasure Craft (1975-1999) and River Link (1999-2010). 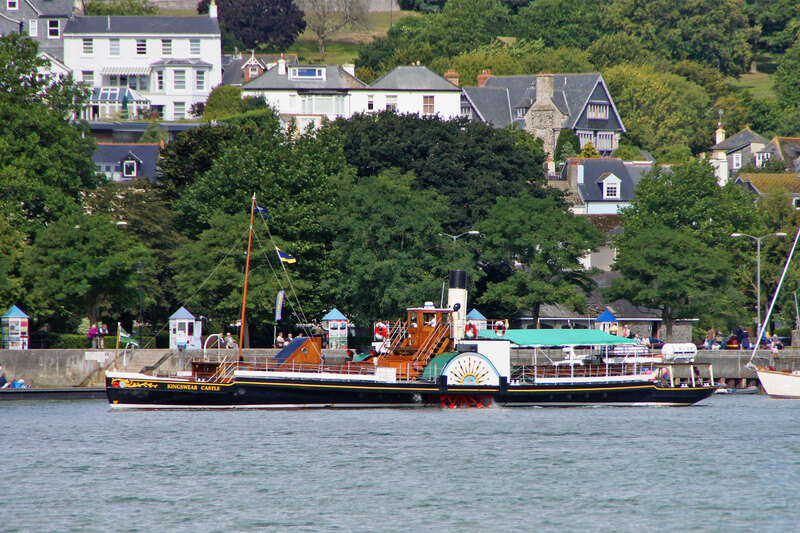 The company also operates the Paignton-Kingswear steam railway and connecting bus services. 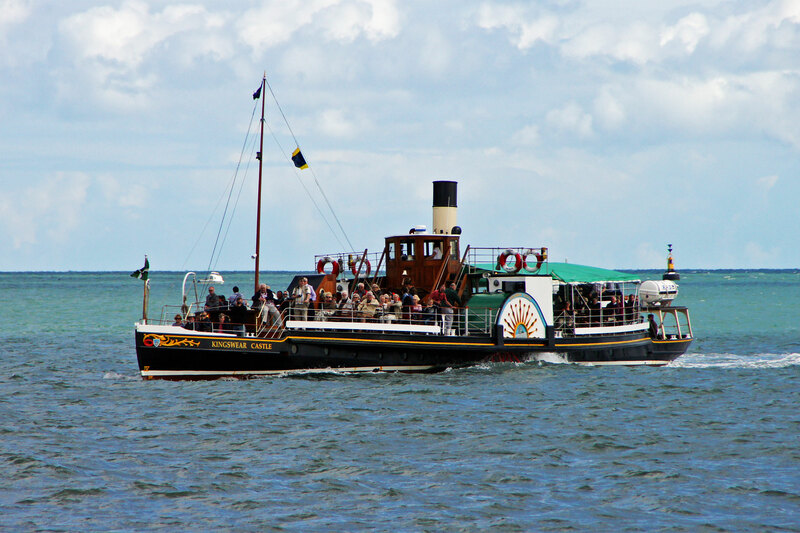 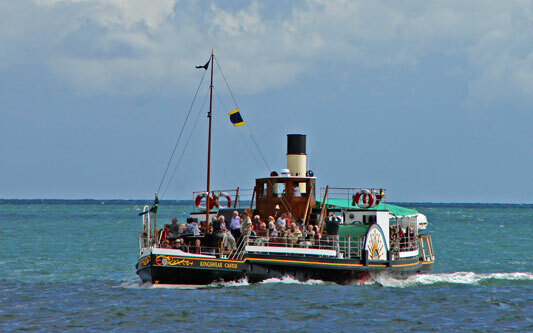 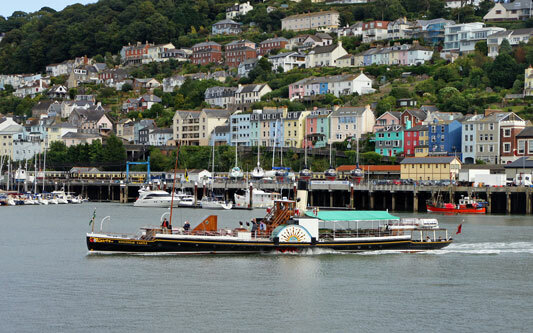 In 2010 the combined boat, rail and bus operations were rebranded as the Dartmouth Steam Railway & River Boat Company. 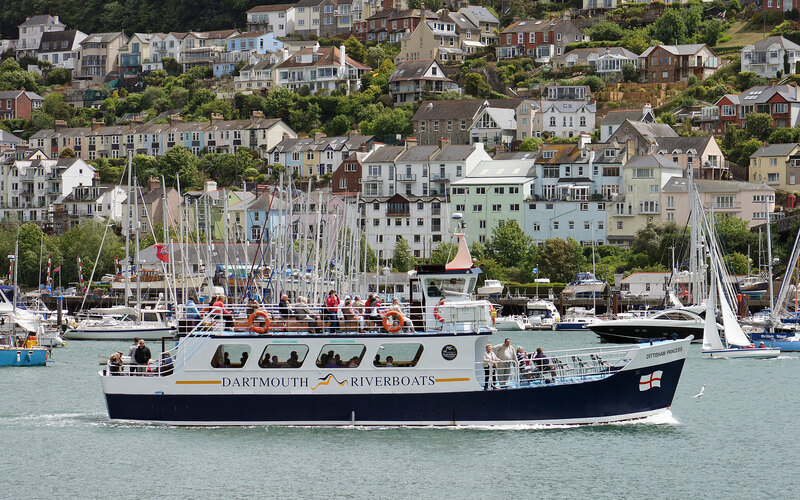 The boat operations are now marketed as Dartmouth Riverboats. 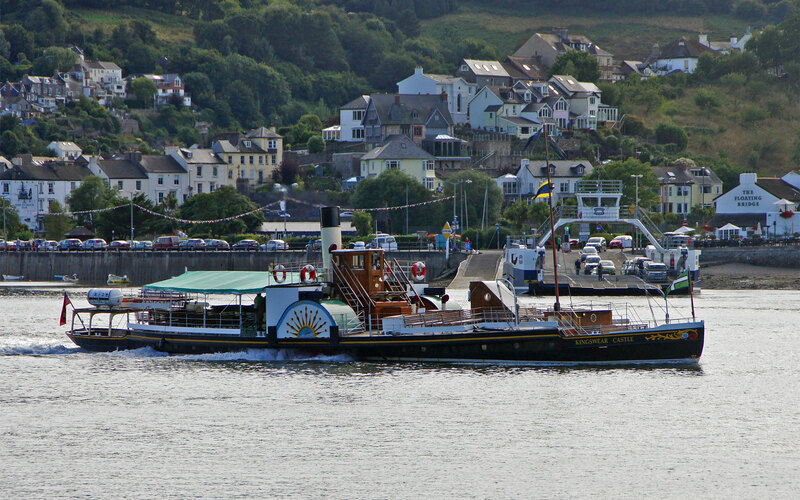 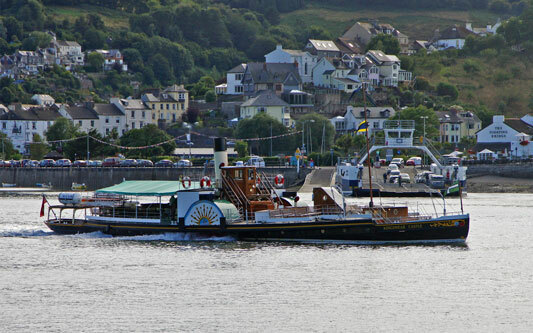 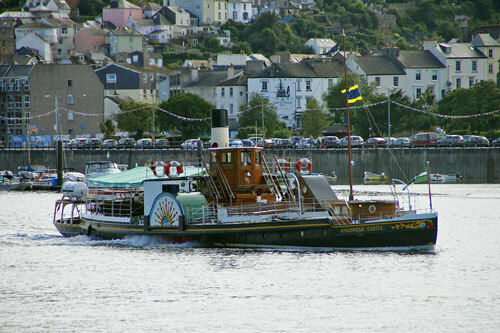 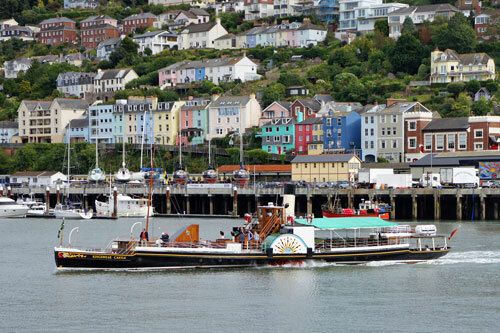 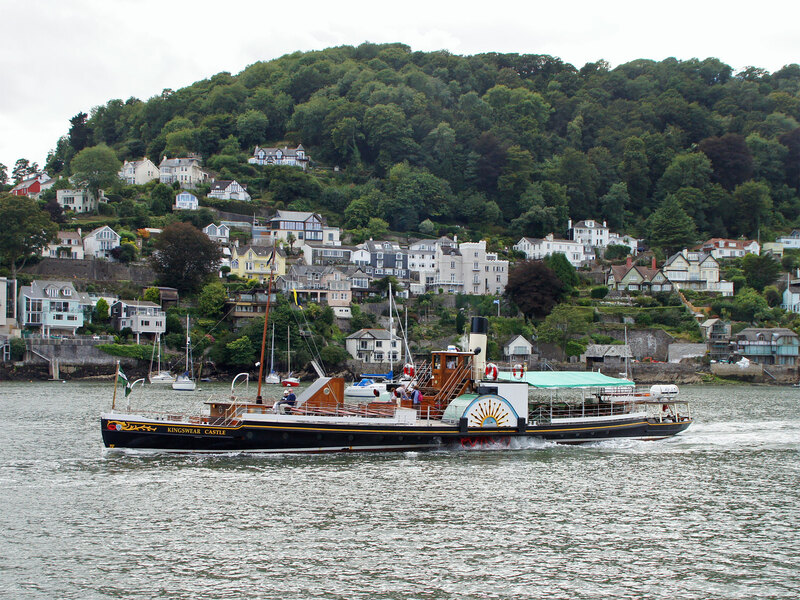 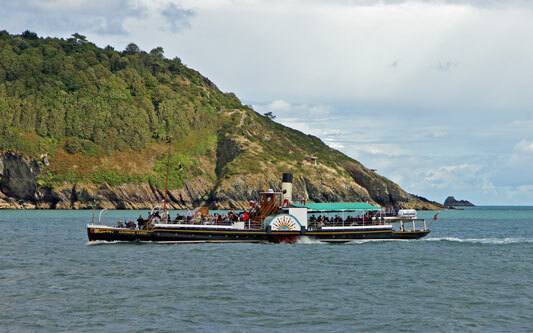 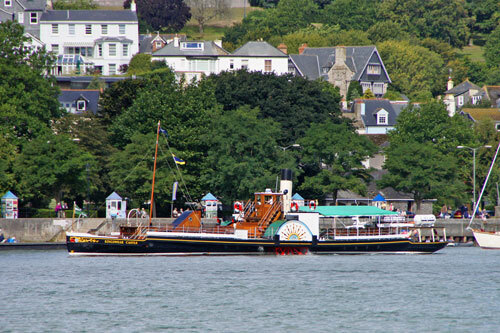 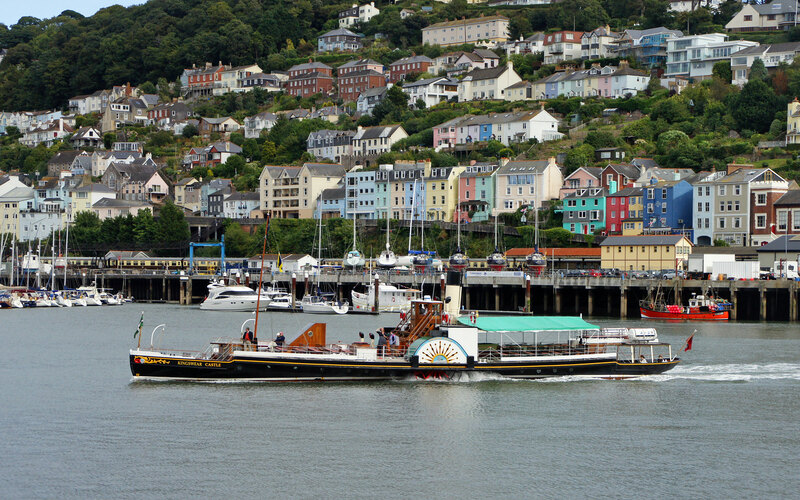 In 2013 the paddle steamer Kingswear Castle returned to the Dart on long term charter. The small red Dartmouth-Dittisham ferries will be added. Dartmouth Riverboats -ex-River Link - this page! Dartmouth Castle (3) was built in 1948 to replace the paddle steamer Dartmouth Castle (2) of the River Dart Steam Boat Company which was laid up during the war, and was sold in 1947. 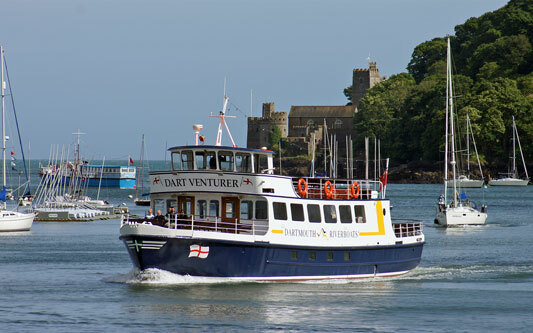 She was followed by the similar Berry Castle (3) the following year, both from Philip of Dartmouth. 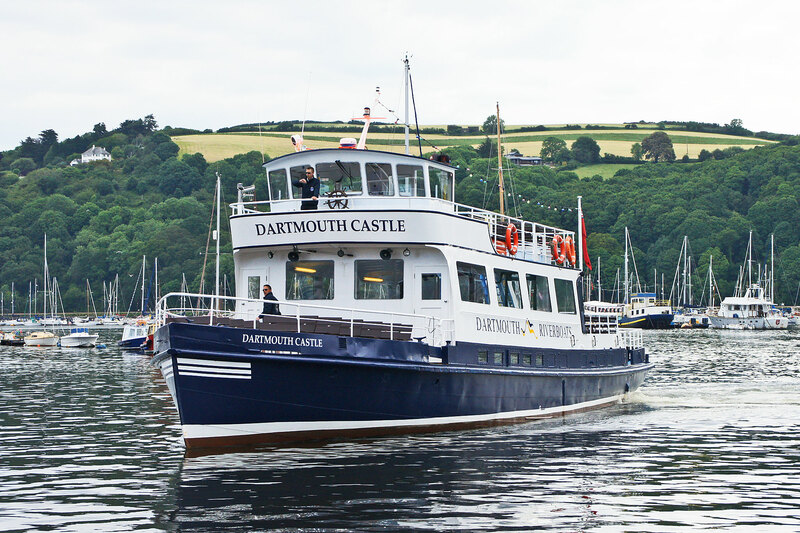 In 1975, the Millbrook SB & Trading Co bought the large Dartmouth Castle (3) from the ailing River Dart Steam Boat Company. 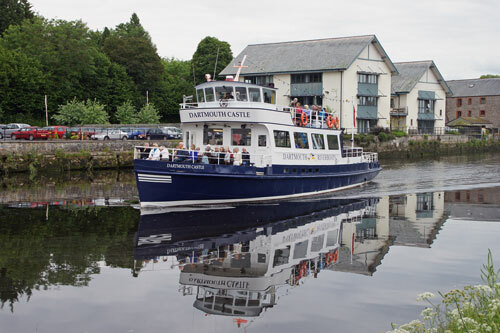 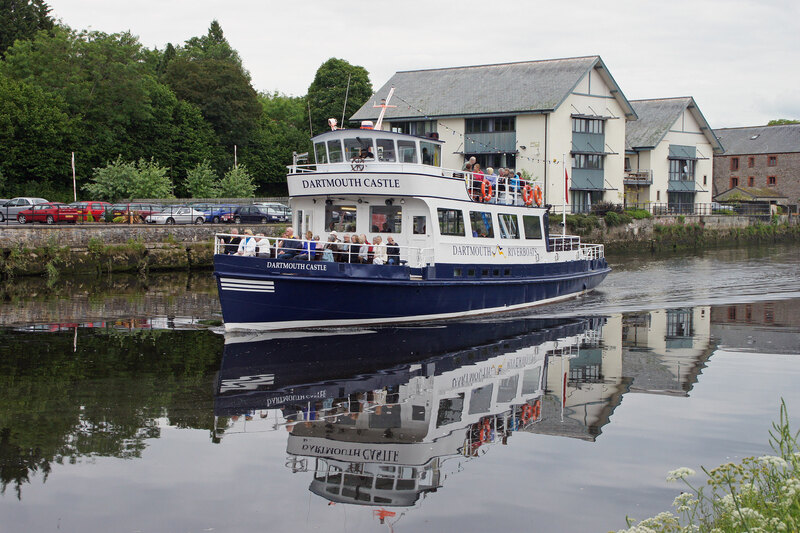 They sold the following year to Dart Pleasure Craft, who had effectively succeeded the River Dart Steam Boat Company on River Dart services. 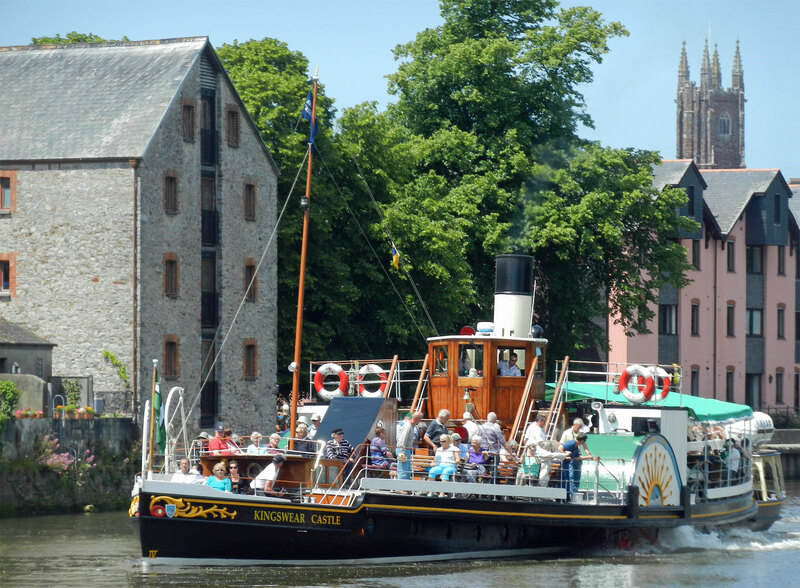 In 1977, the Millbrook SB & Trading Co also bought the Cardiff Castle from the River Dart Steam Boat Company. 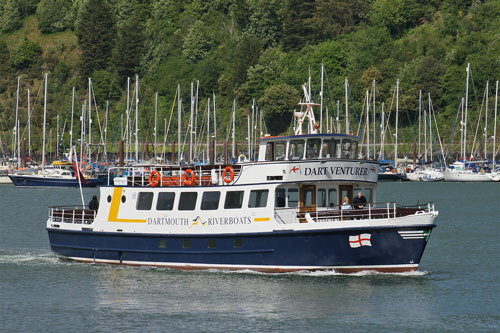 In 1980, the directors of the Millbrook SB & Trading Co (Derek Crawford, Les Worth and Sidney Mashford) sold their shares to Dart Pleasure Craft who then ran both Dart and Plymouth services. The Dartmouth Castle has a length of 26.52 metres and a gross tonnage of 81. 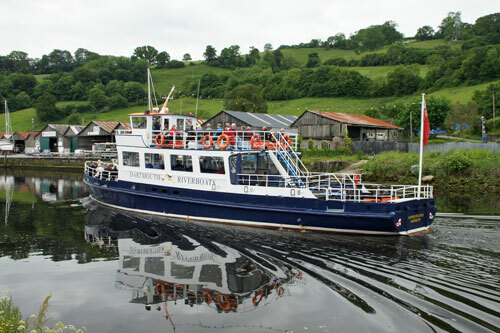 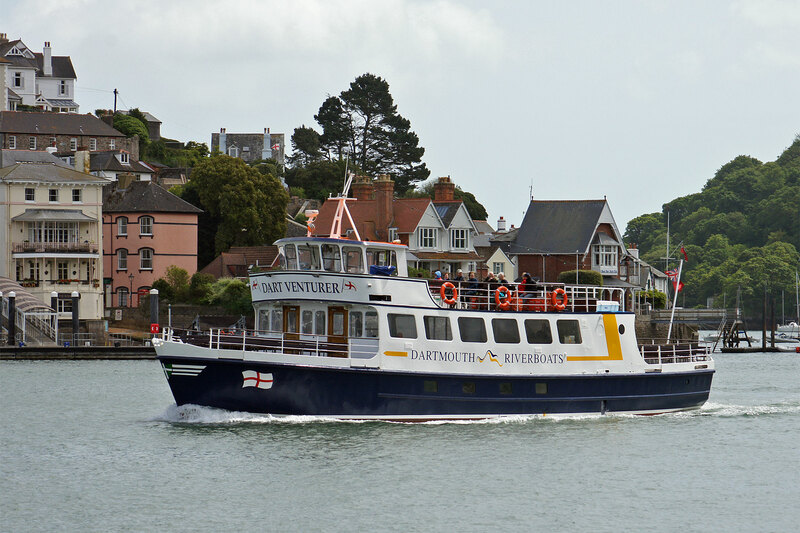 She was purpose built with both sea and river operations in mind and has a maximum load line draft of just over 95cm, thus making her ideal for Avocet Bird Watching Cruises on the River Exe. 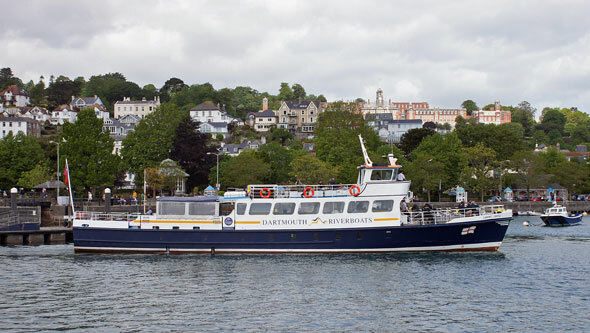 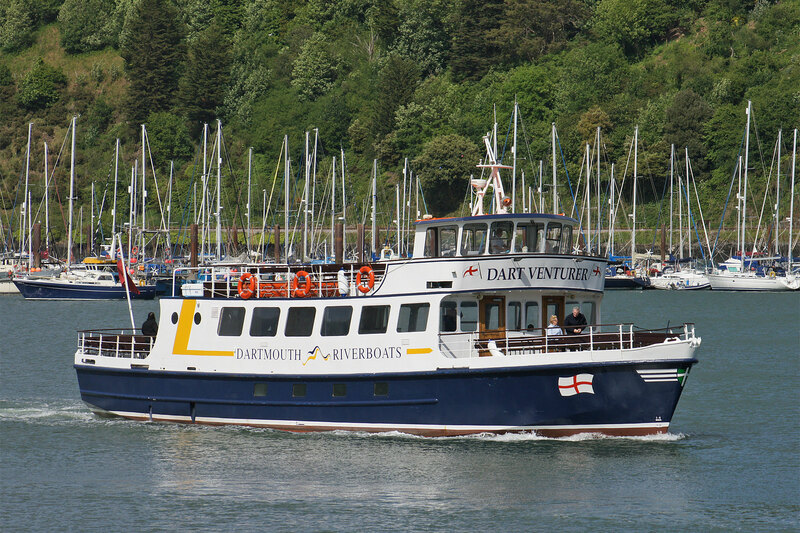 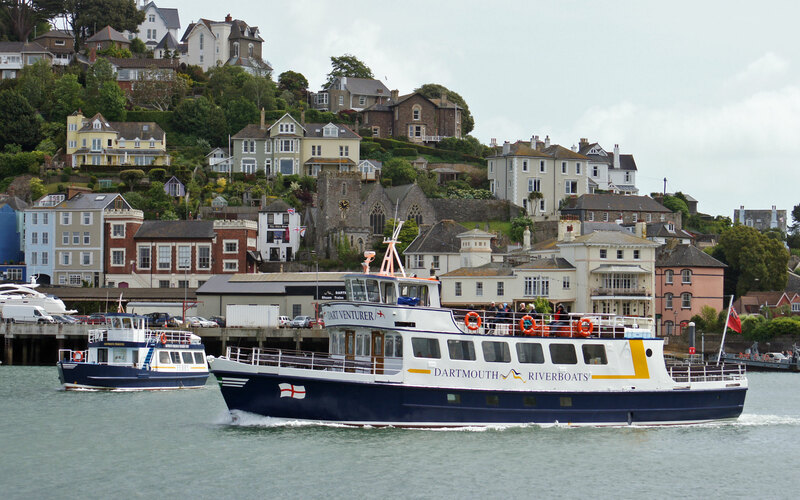 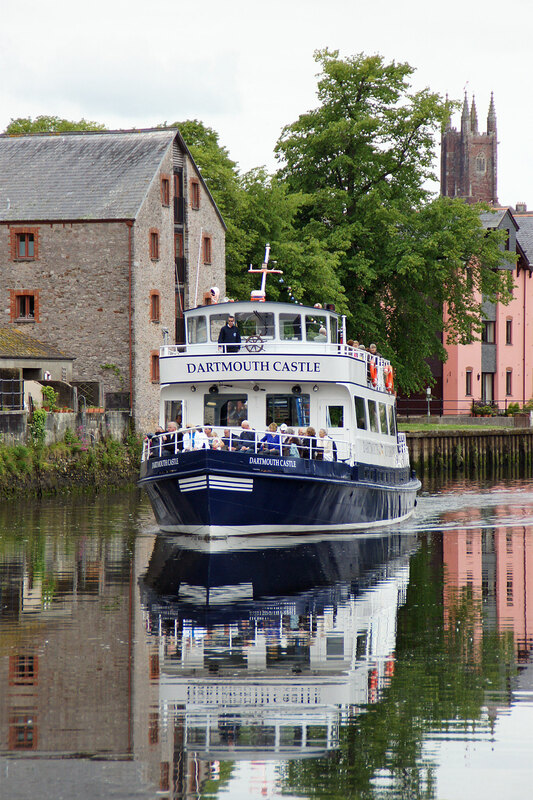 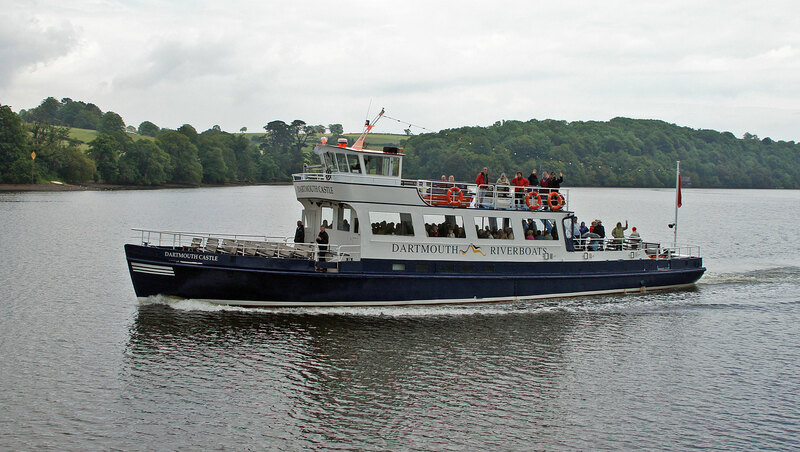 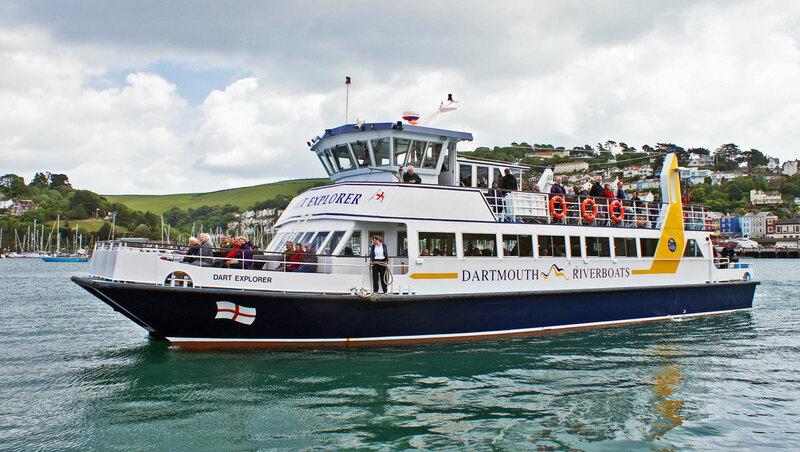 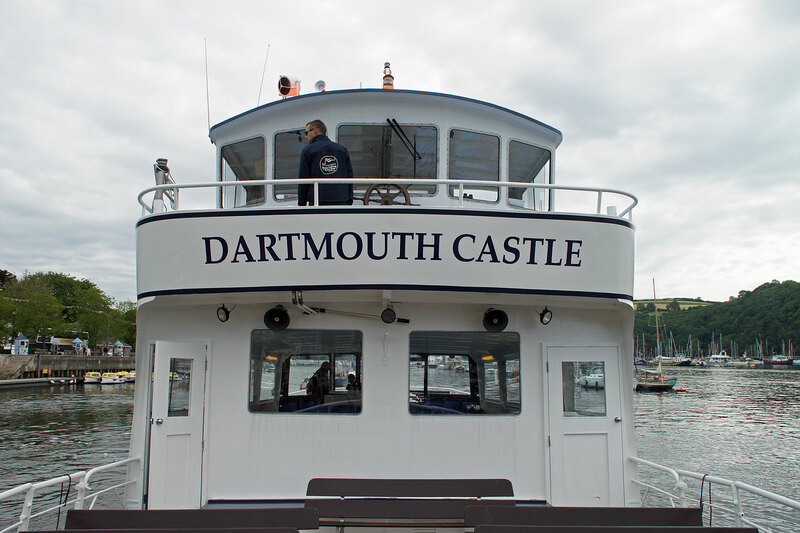 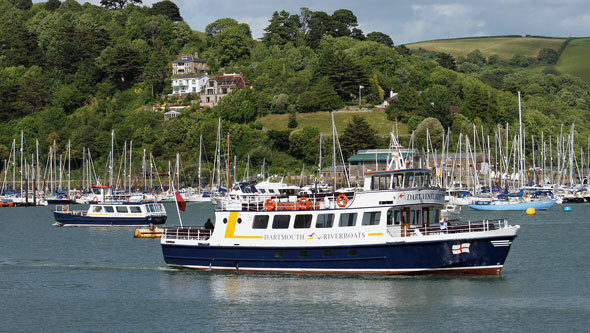 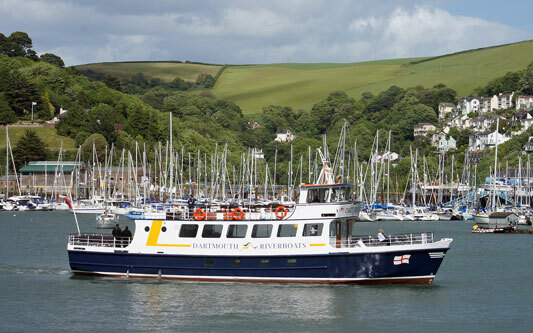 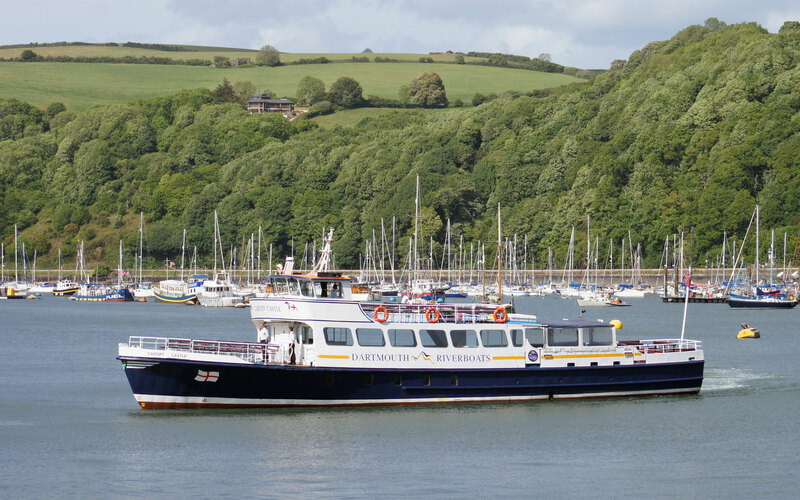 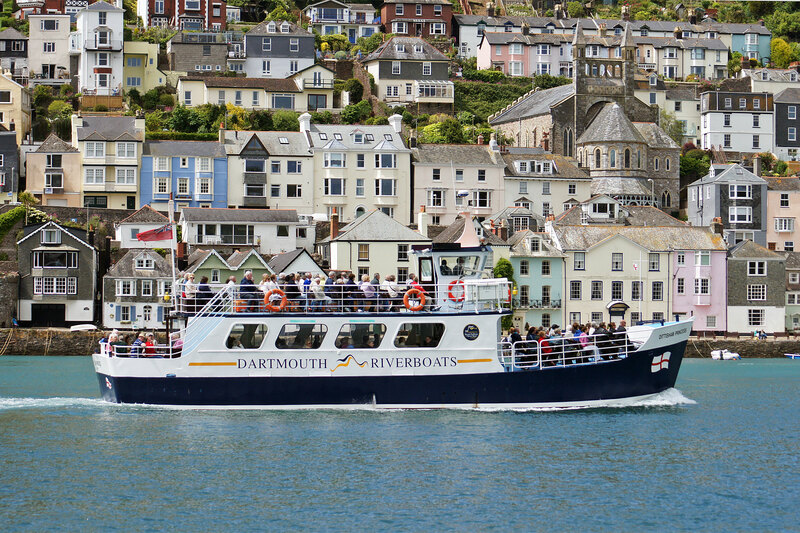 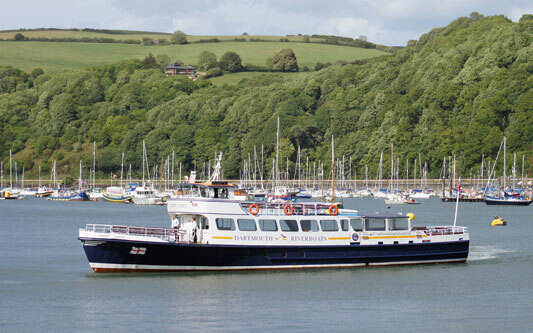 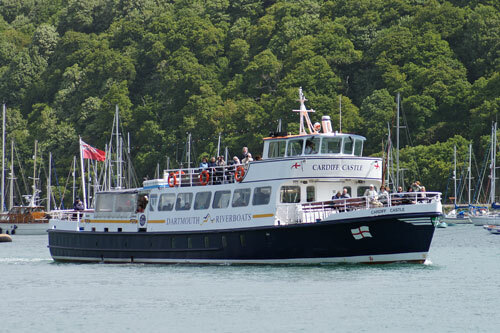 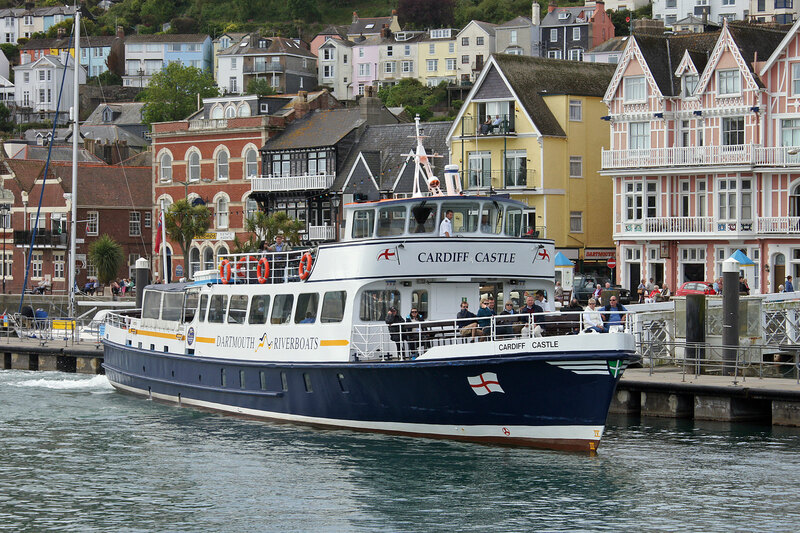 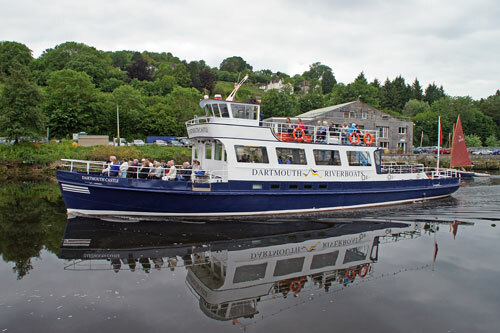 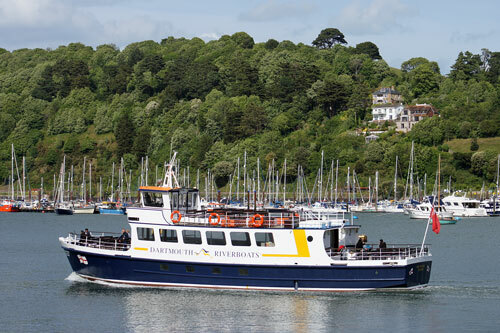 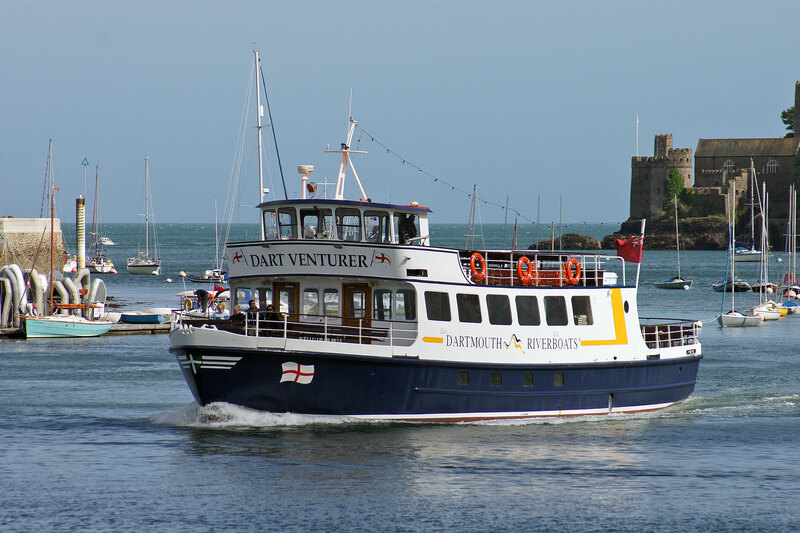 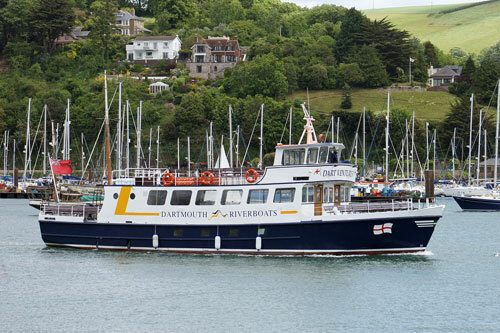 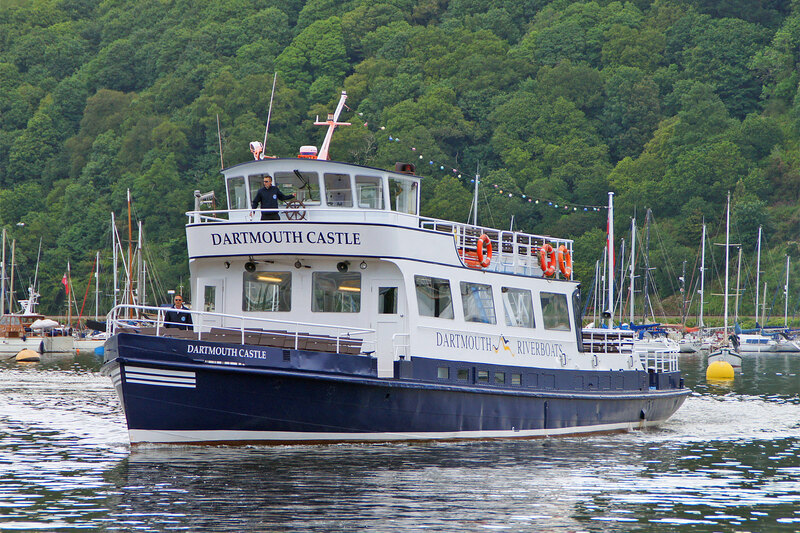 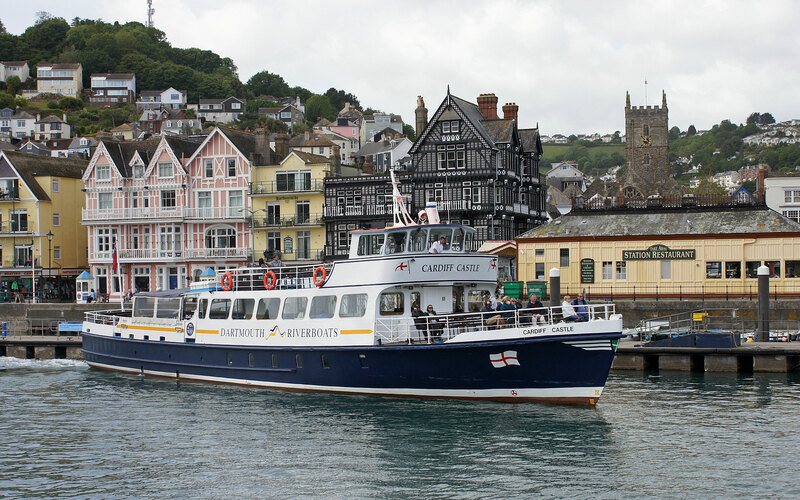 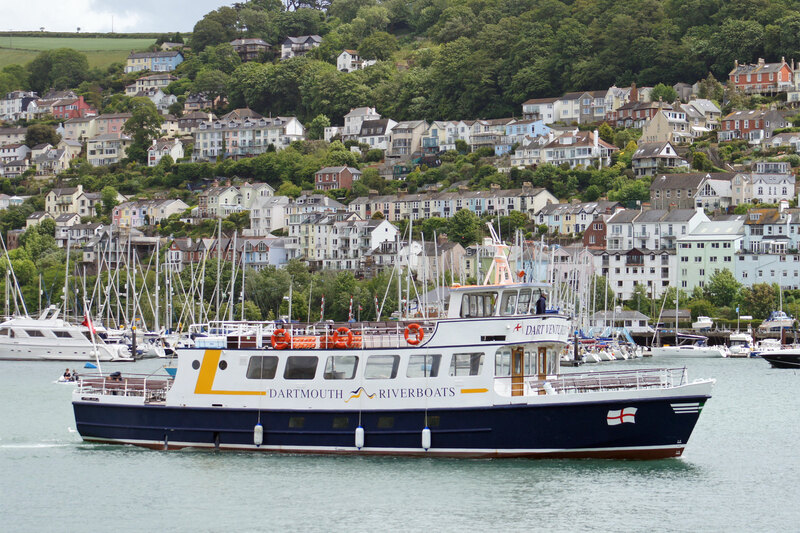 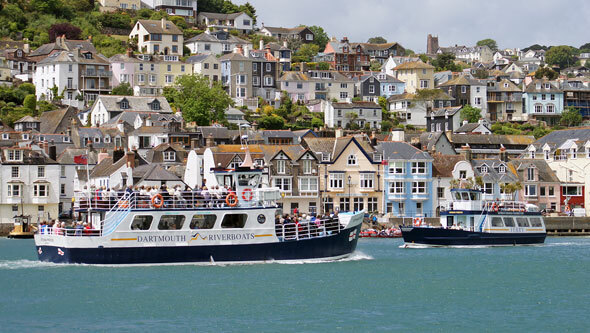 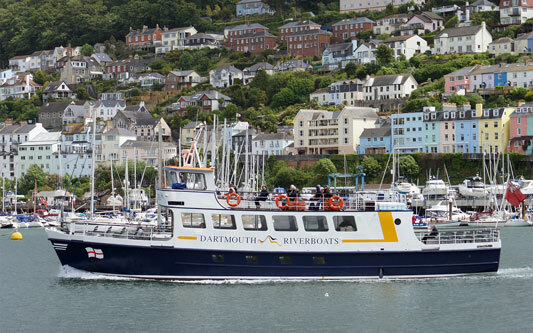 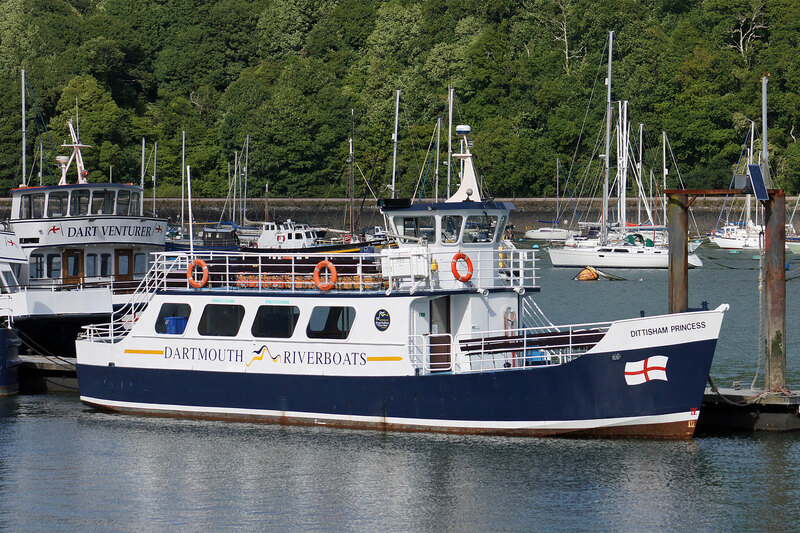 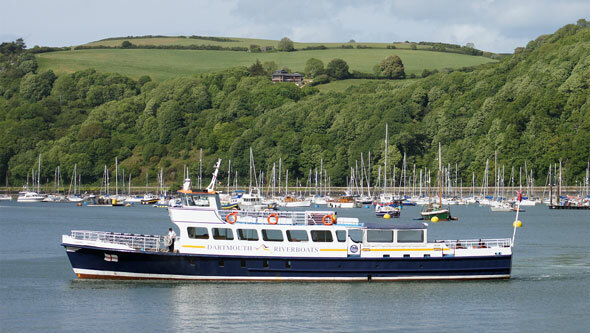 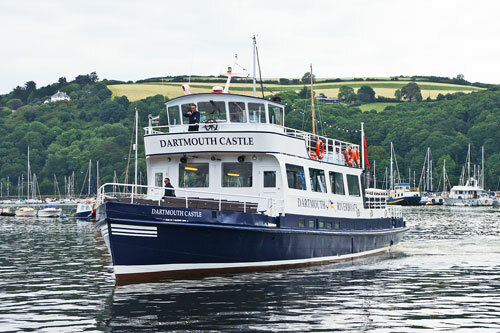 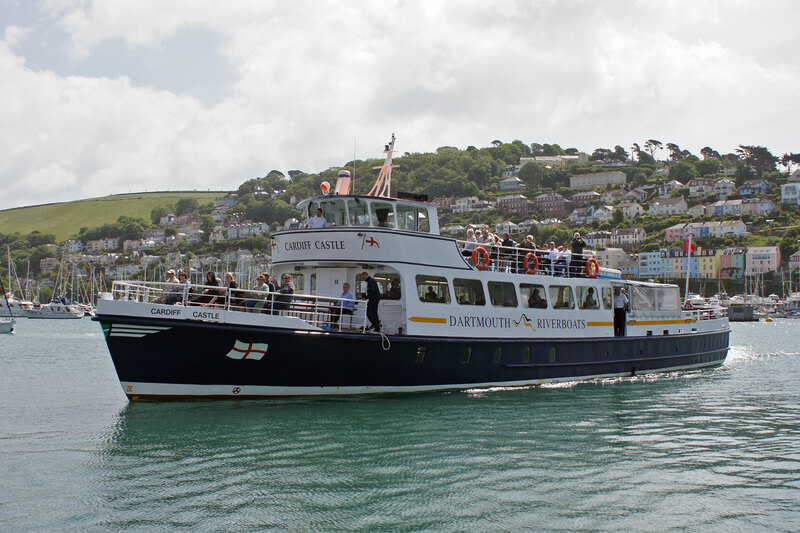 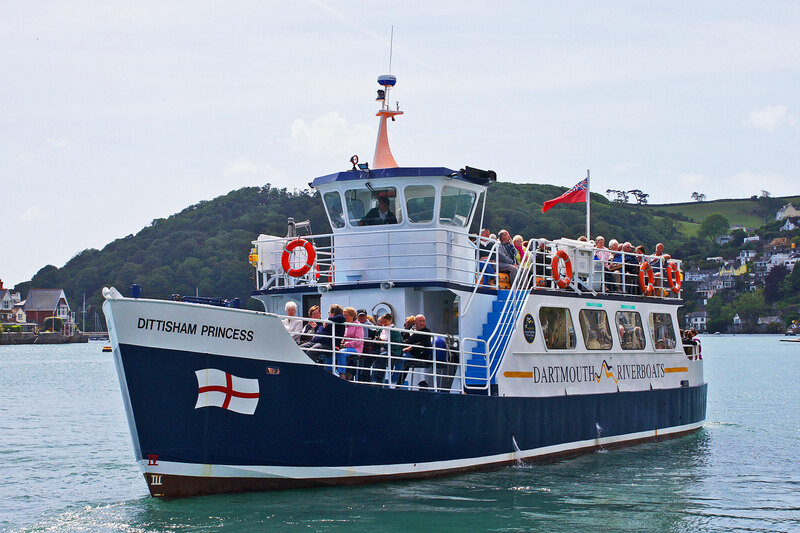 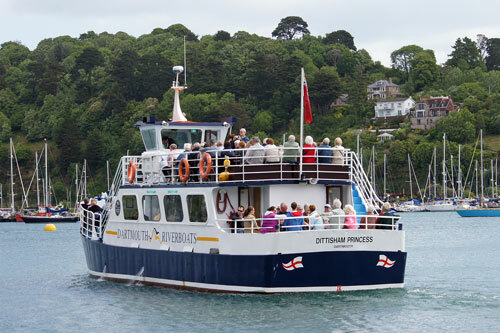 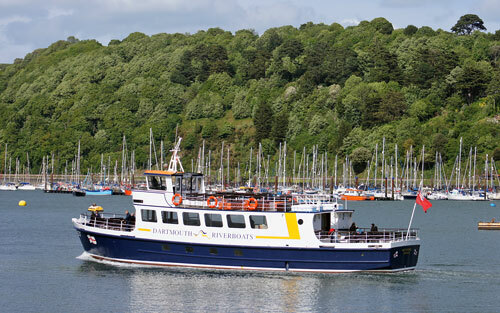 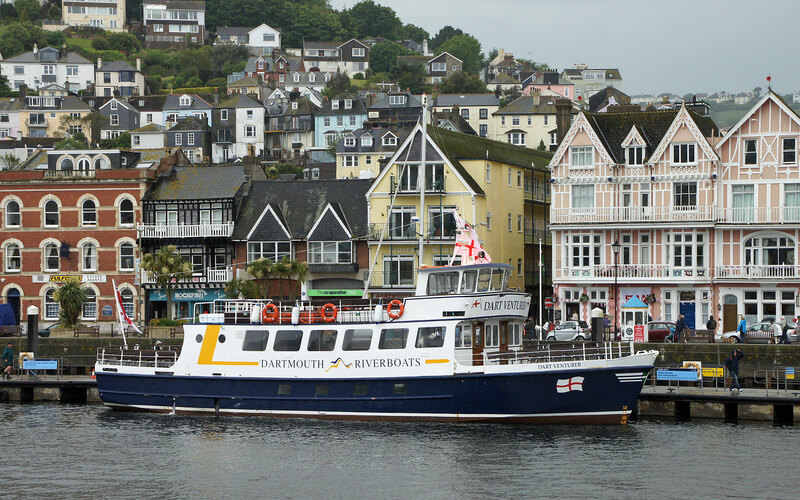 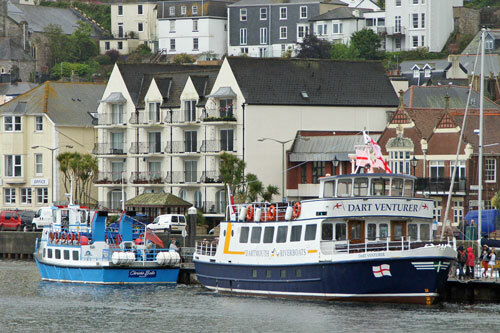 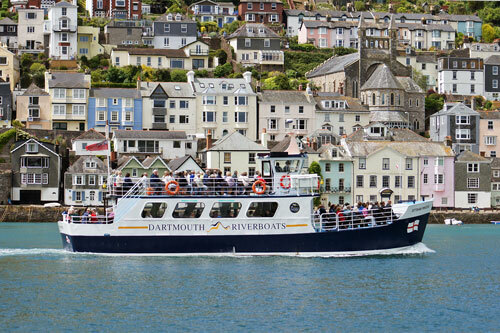 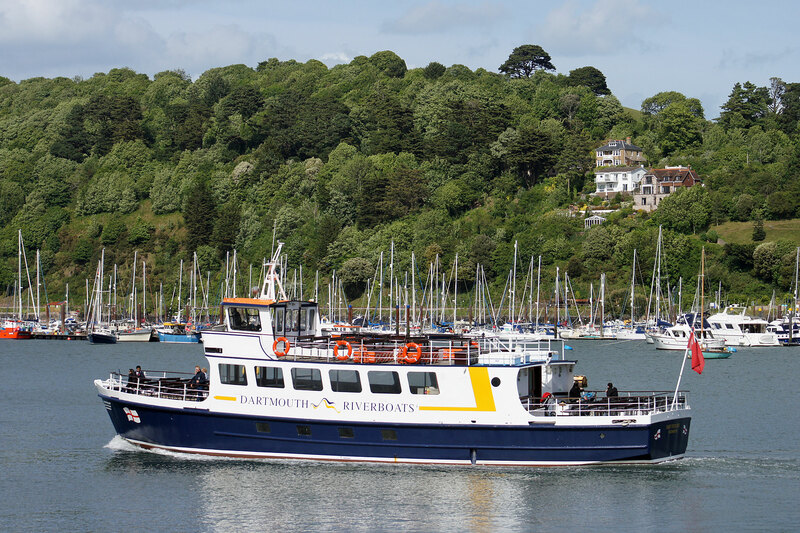 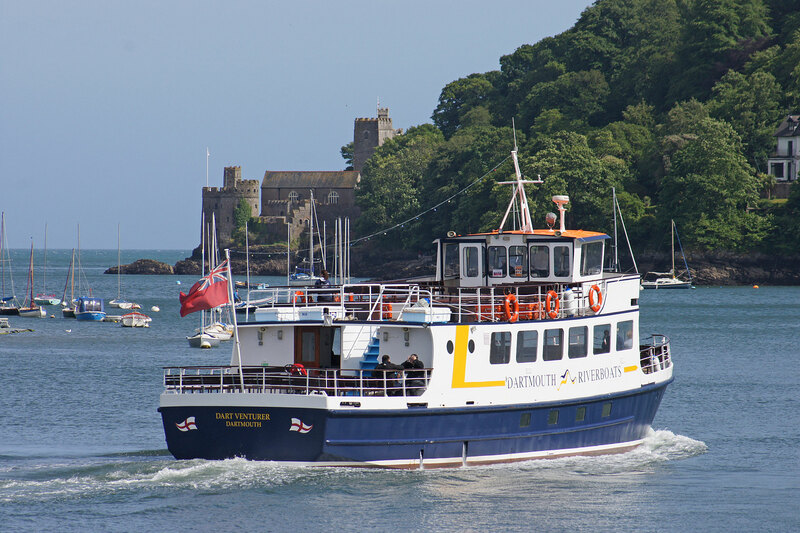 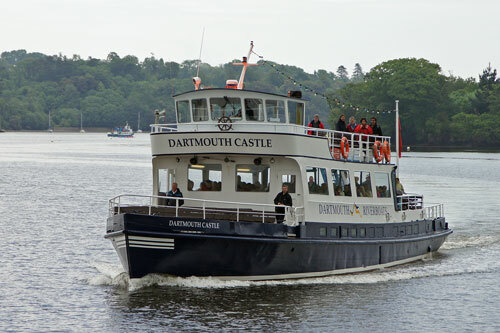 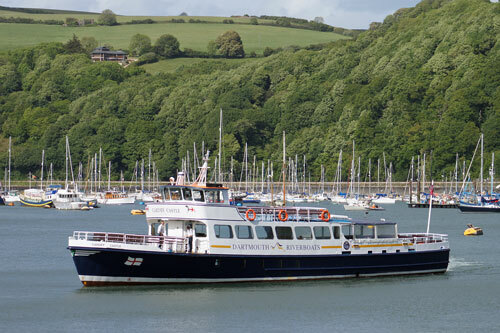 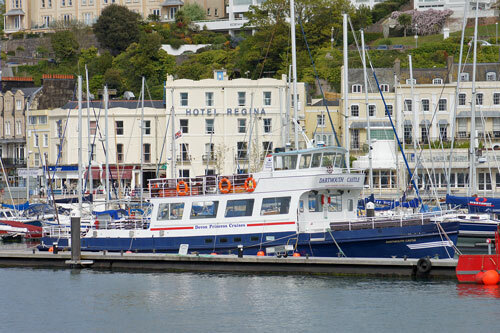 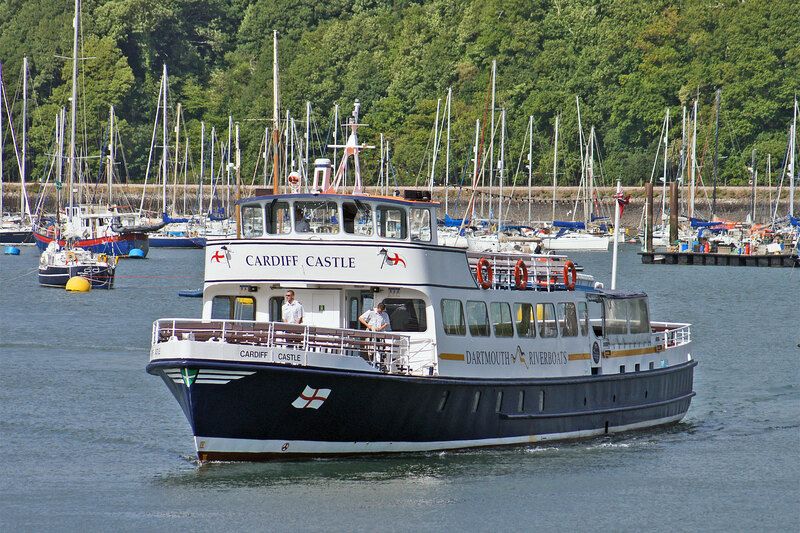 In 2010, Dartmouth Castle was bought by the Dartmouth Steam Railway & River Boat Company, marketed as Dartmouth Riverboats and successors to earlier owners Dart Pleasure Craft. 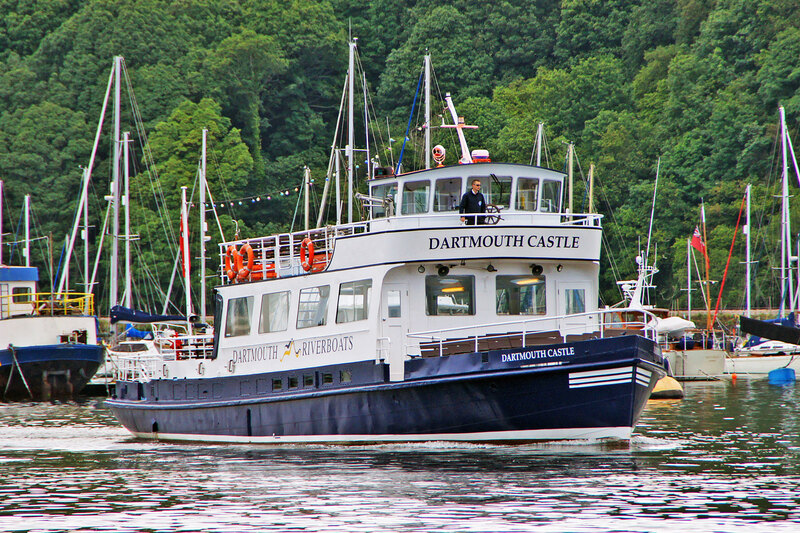 Dartmouth Castle (3) is the oldest large vessel in the Dartmouth Riverboats fleet. 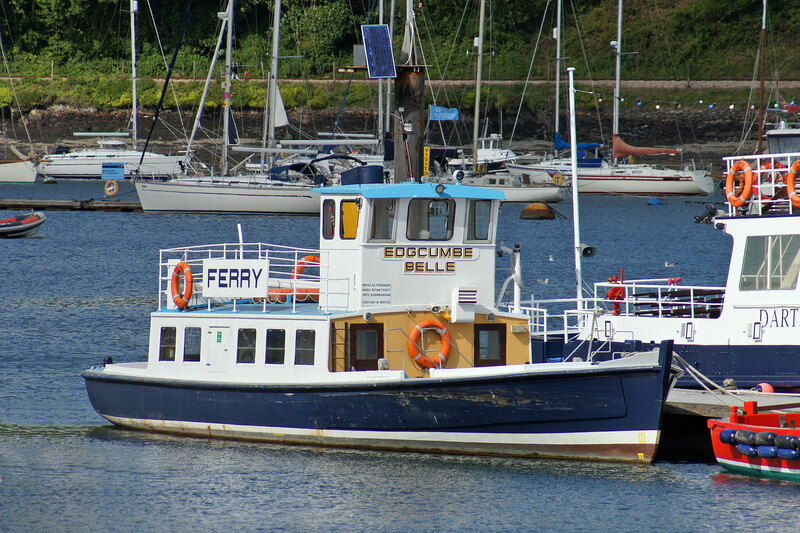 Edgcumbe Belle was built as the Humphrey Gilbert. 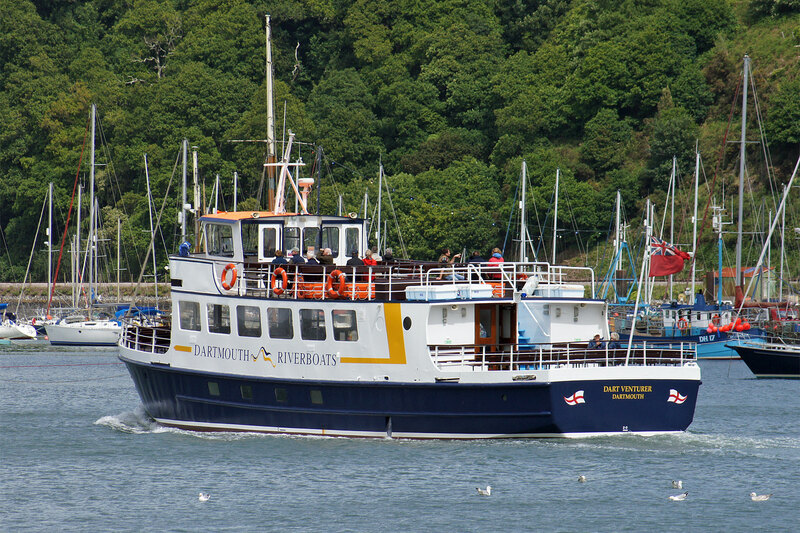 Sister vessels Humphrey Gilbert and Adrian Gilbert were built for British Railways(BR) in 1957 for the Dartmouth-Kingswear ferry service. The service and the two sisters passed into local authority ownership in 1972, when BR closed the Kingswear branch beyond Goodrington. 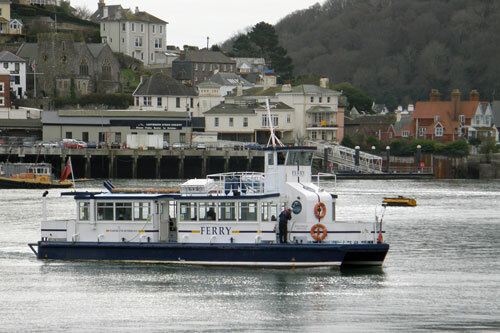 Both boats were sold in 1976 for use on the St Mawes ferry in Cornwall, but proved unsuitable and were bought back by BR for use on the Tilbury-Gravesend ferry. 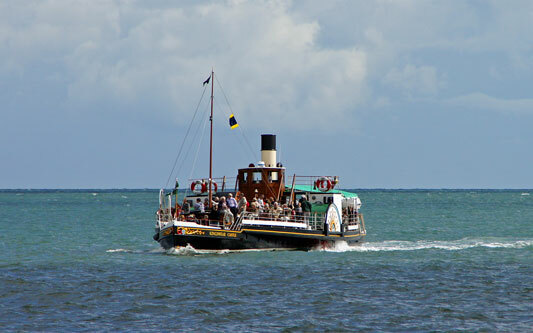 They again proved unsuitable for this route, but were re-engined and offered for sale. 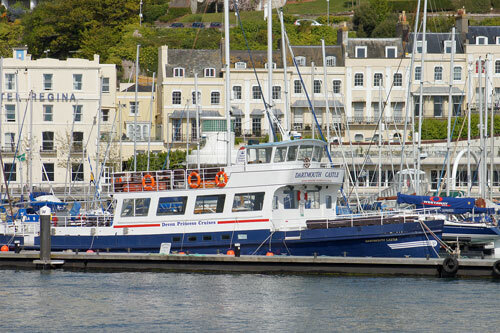 Humphrey Gilbert was laid up at Newhaven, then bought by Meridian Line Cruises of Greenwich in 1978. 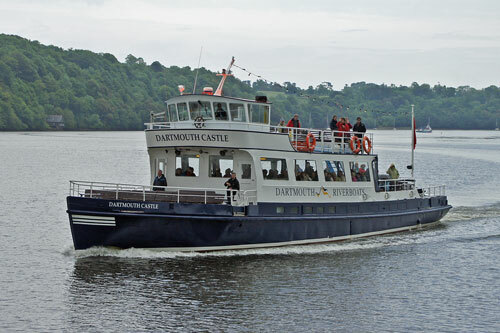 She was not used by them, and was sold again to the Millbrook Steamboat & Trading Company in 1979 for use on the Drake's Island ferry as the Edgcumbe Belle. 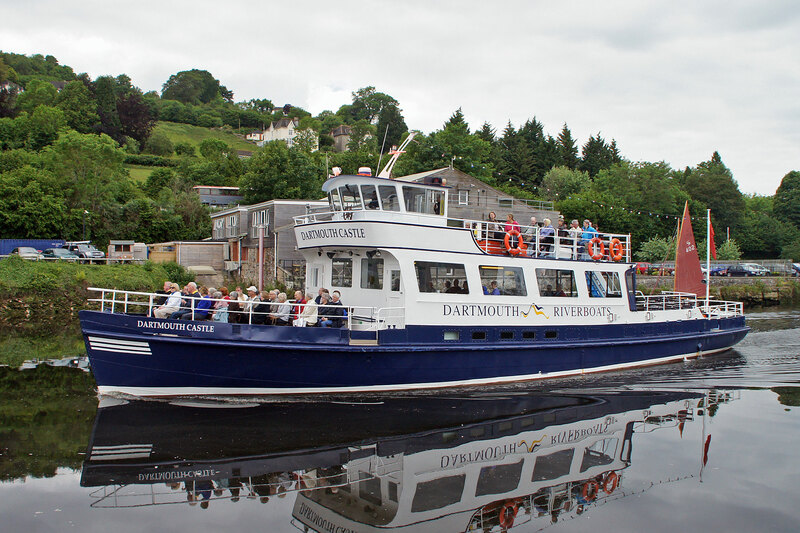 The following year, the Millbrook Steamboat & Trading Company was bought by Dart Free Houses, the owners of Dart Pleasure Craft. Edgcumbe Belle remained at Plymouth until 1985, when Dart Pleasure Craft withdrew from the area. 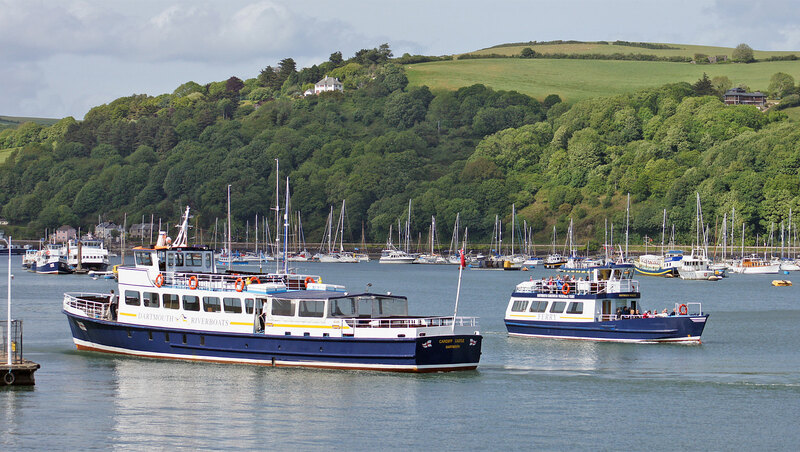 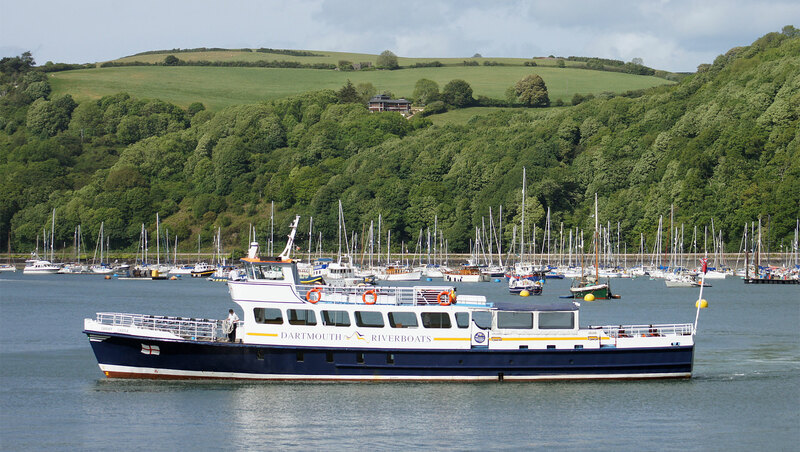 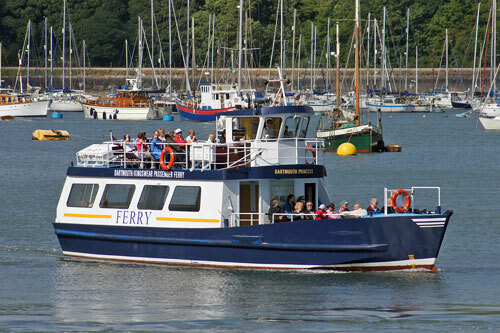 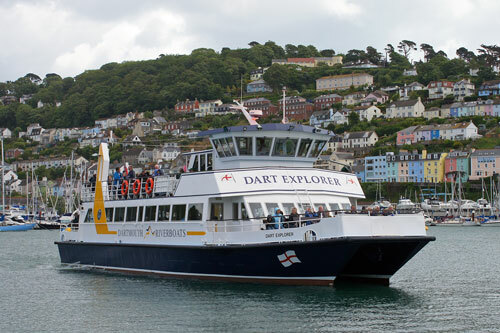 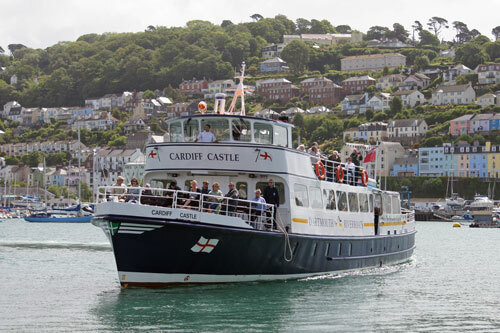 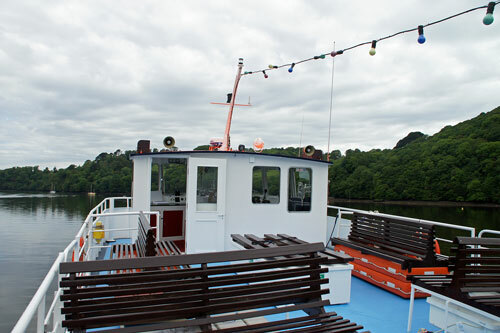 She was moved to the Dart, officially joining the Dart Pleasure Craft fleet, and re-joining her sister Adrian Gilbert on the Dart ferry, and remained on the ferry service in 2004. 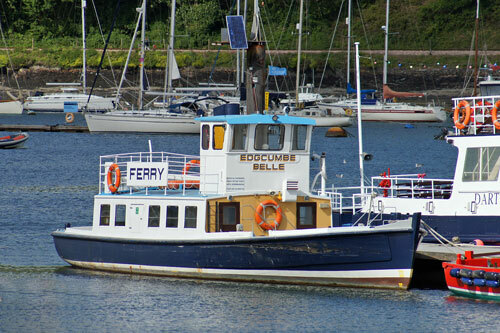 Edgcumbe Belle appears to be retained just as a backup ferry and had not been repainted in the 2010 Dartmouth Riverboats livery in June 2012. 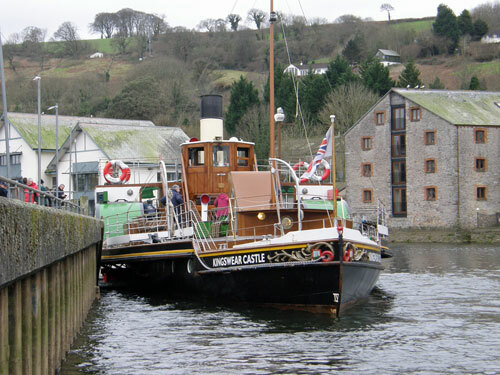 The River Dart SB Co paddler Totnes Castle (2) required major expenditure in 1964. 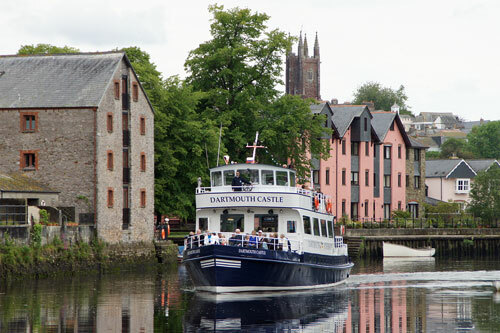 This expense was rejected and Totnes Castle (2) was replaced by the new Cardiff Castle, a sister to Conway Castle. 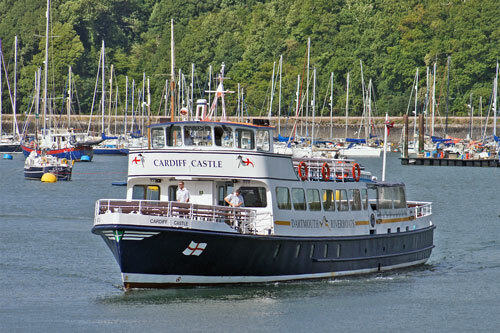 When River Dart SB Co services ceased at the end of 1974, Cardiff Castle was initially laid up. 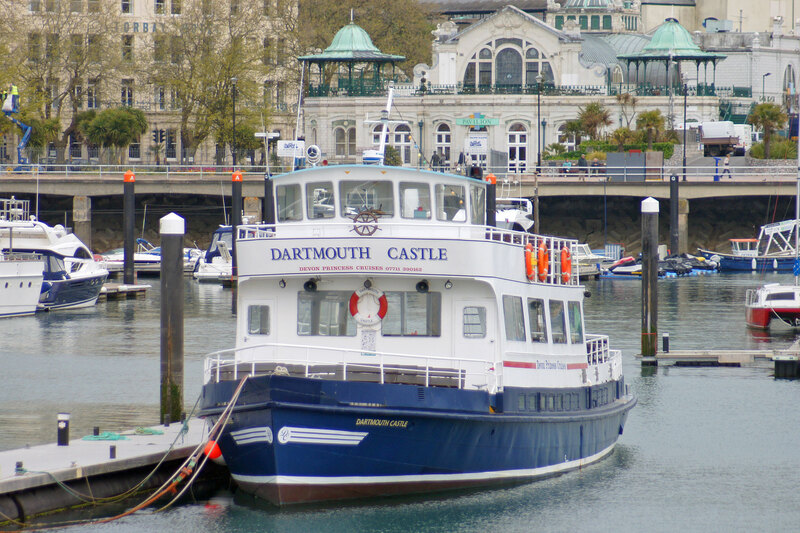 In 1977 she was sold to replace the Dartmouth Castle (3) in the Millbrook Steamboat & Trading Company fleet and moved to Plymouth. In 1980, Dart Pleasure Craft took over the Millbrook Steamboat & Trading Company, and Cardiff Castle later moved back to Dartmouth. 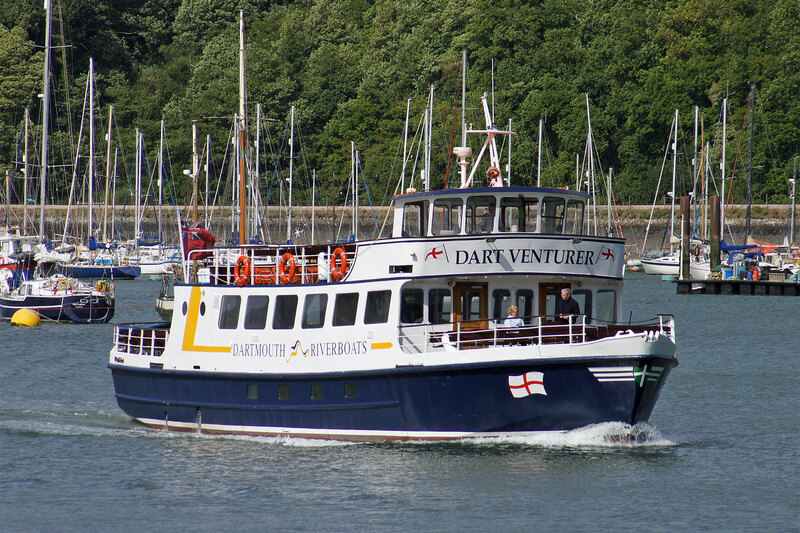 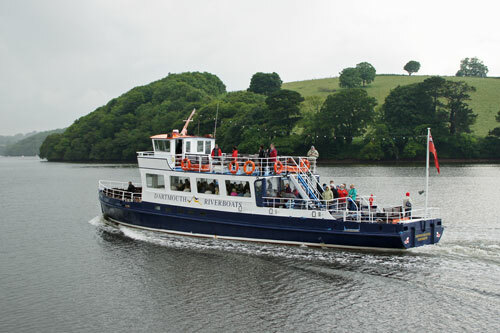 Former Millbrook SB Co director Sidney Mashford designed and built the boat Plymouth Venturer for new rival Plymouth Boat Cruises, who initiated a fares war with Dart Pleasure Craft in the Plymouth area. 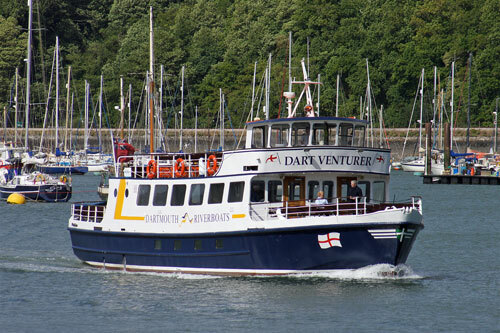 Plymouth Venturer entered service in 1982, a year after Plymouth Boat Cruises was formed with the Plymouth Princess. 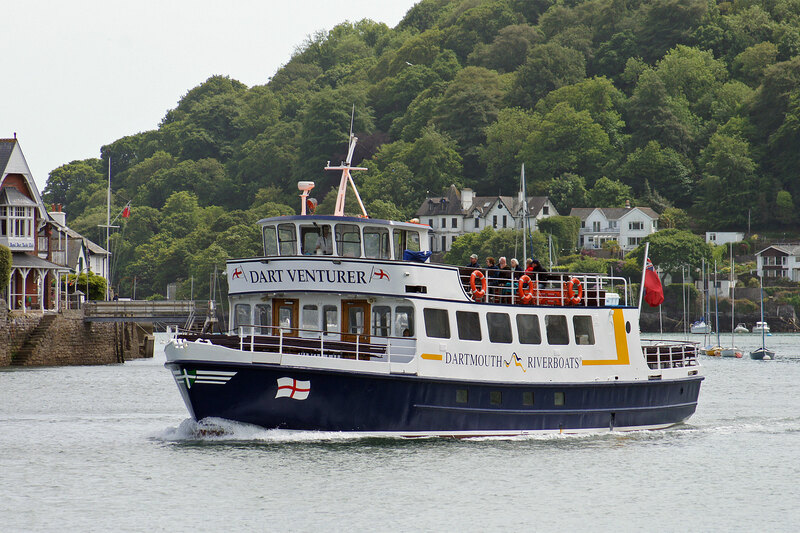 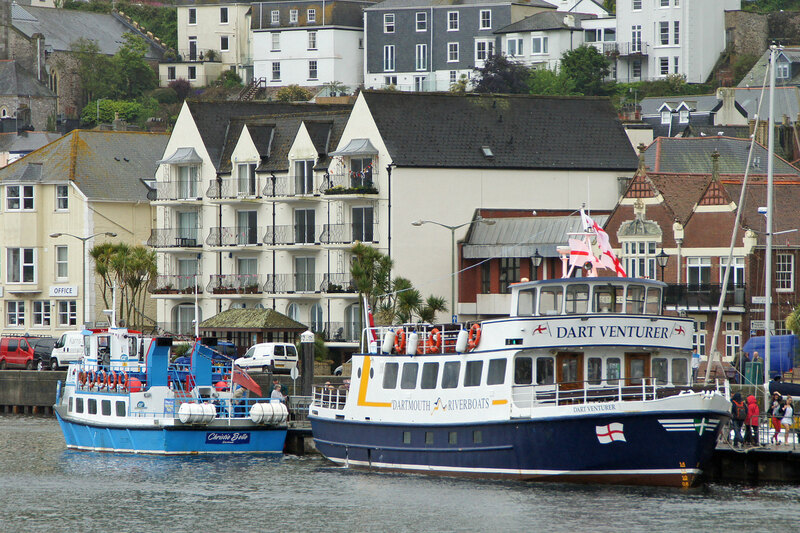 Plymouth Venturer was later sold to Dart Pleasure Craft in 2002 as Dart Venturer. 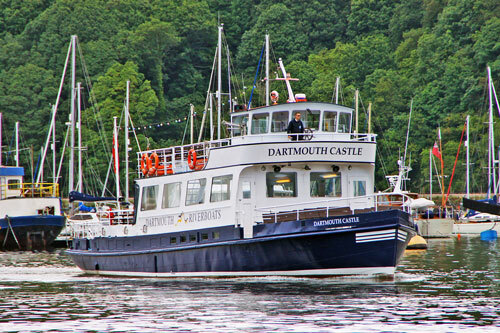 Dartmouth Princess was originally the Devon Belle II of K.J.Bridge from new in 1990. 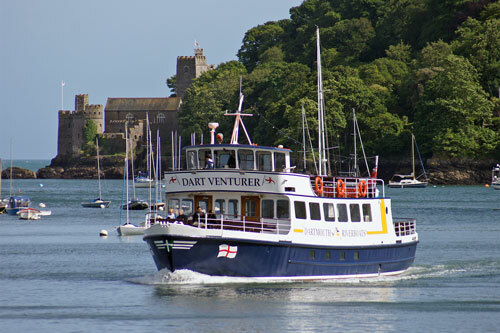 She was acquired by G.H.Ridalls in 1995, and passed to Dart Pleasure Craft in 2000. 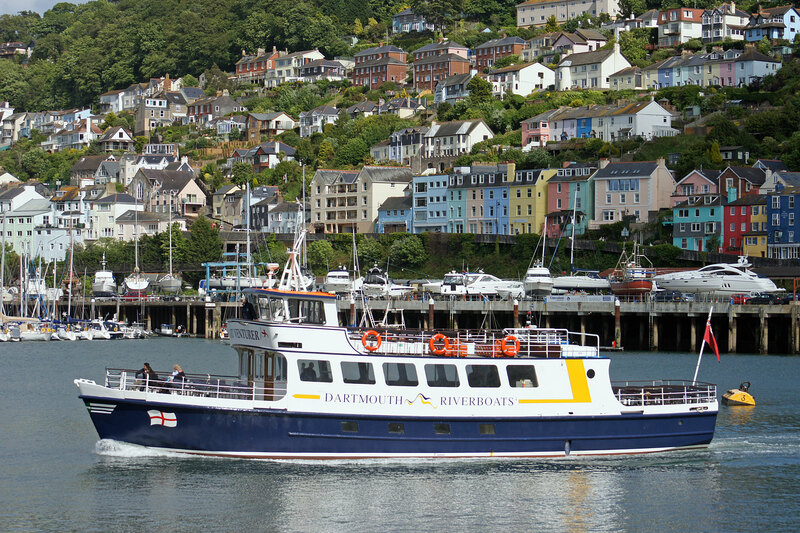 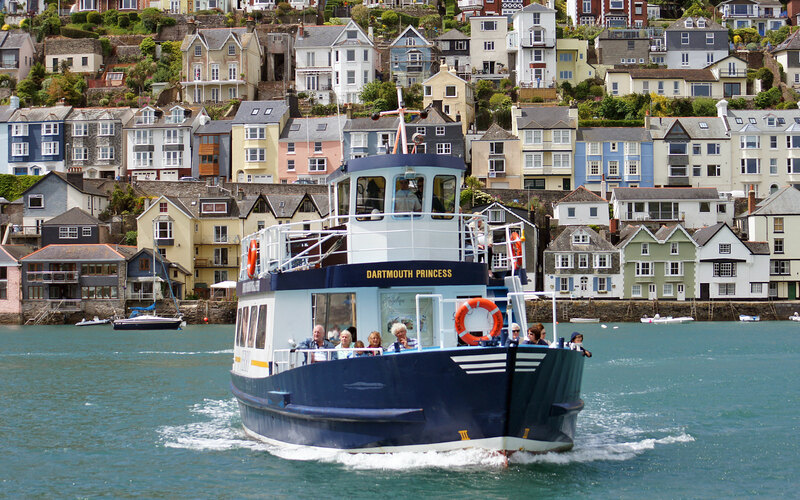 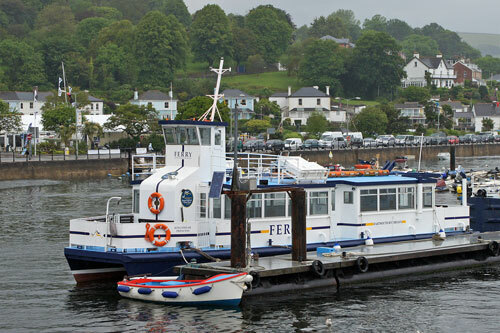 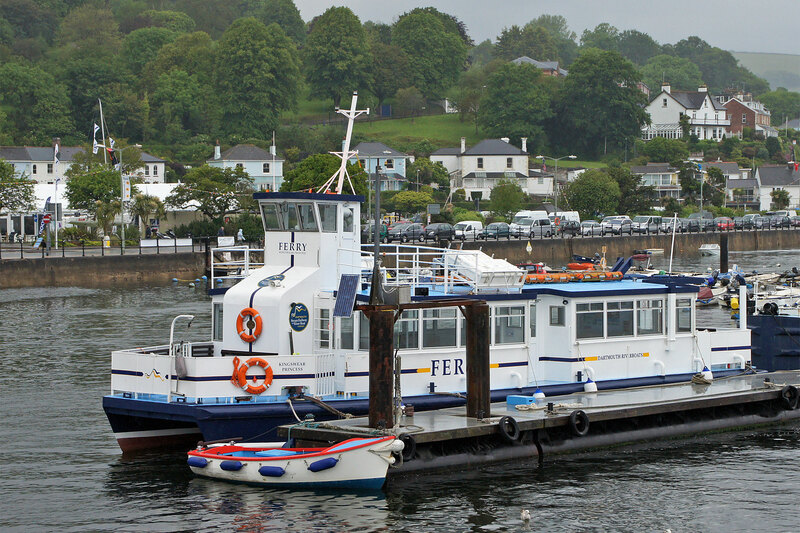 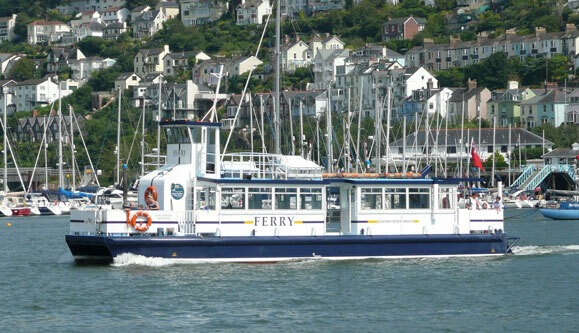 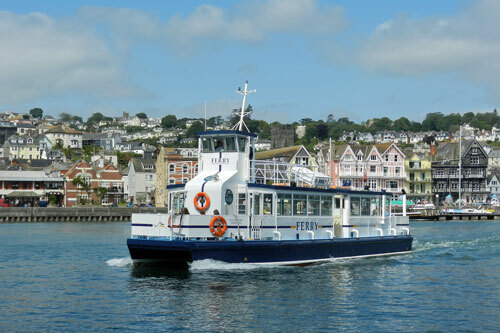 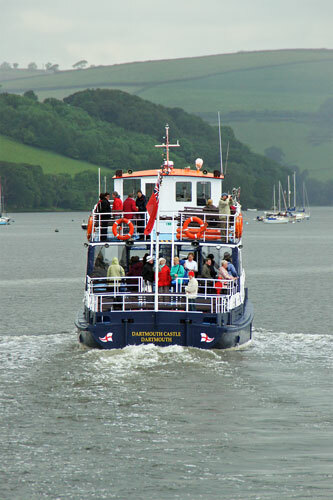 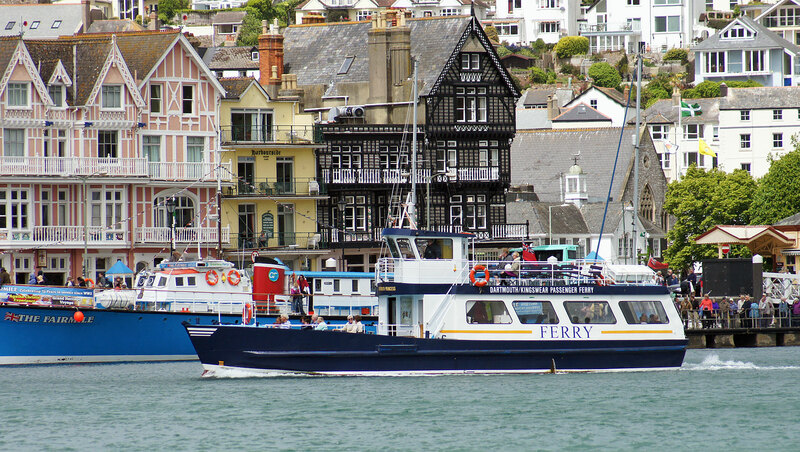 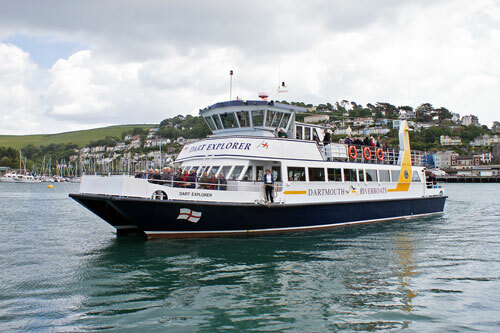 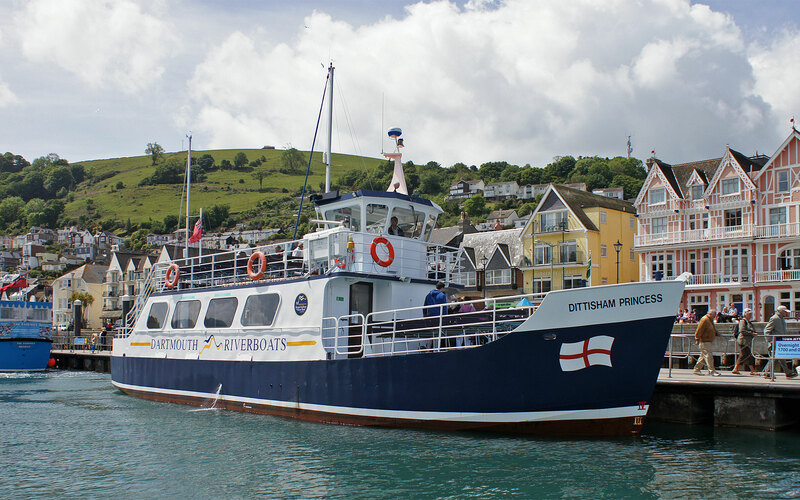 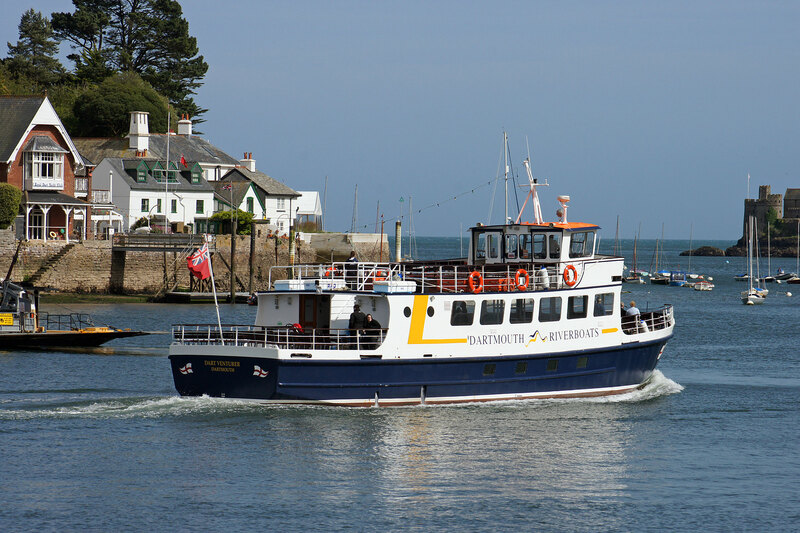 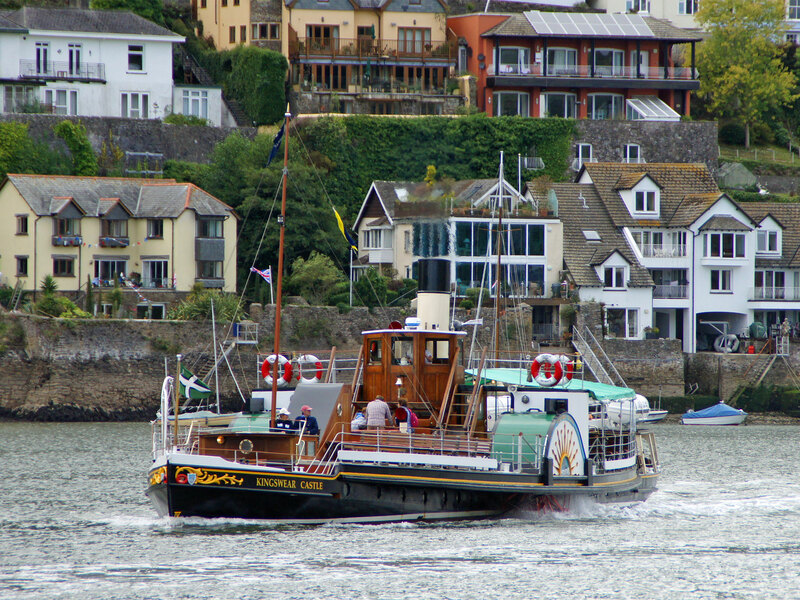 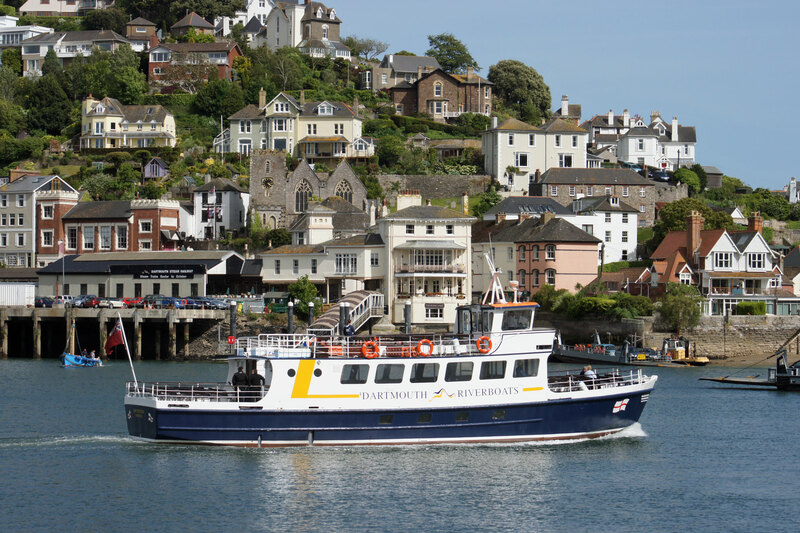 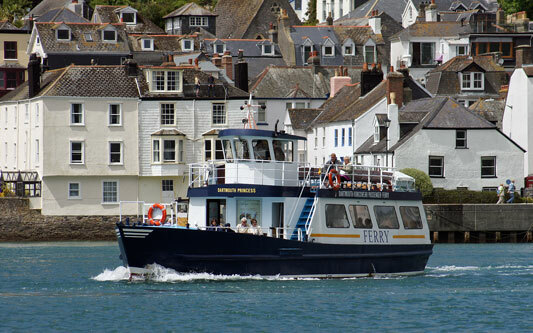 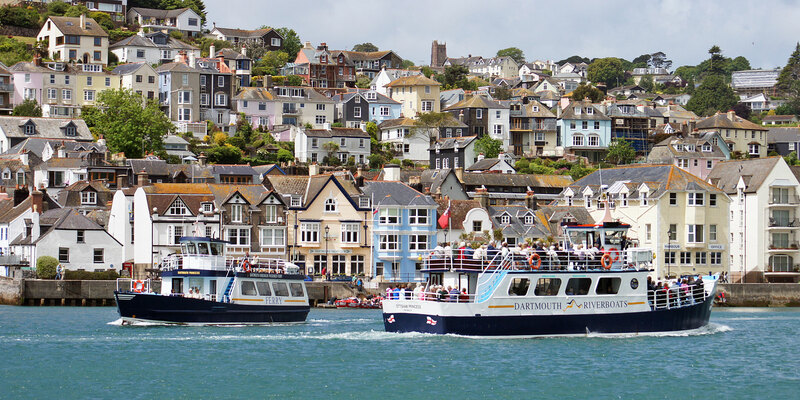 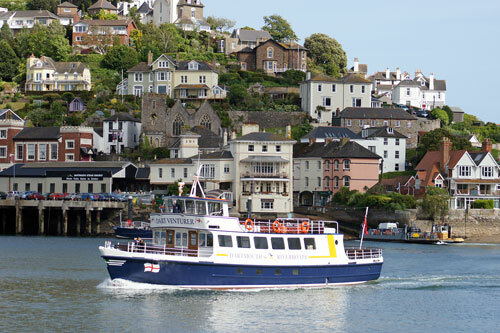 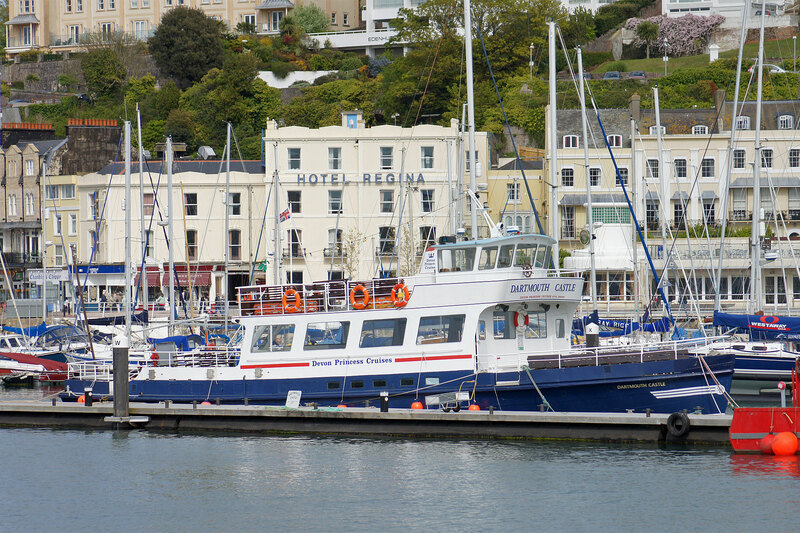 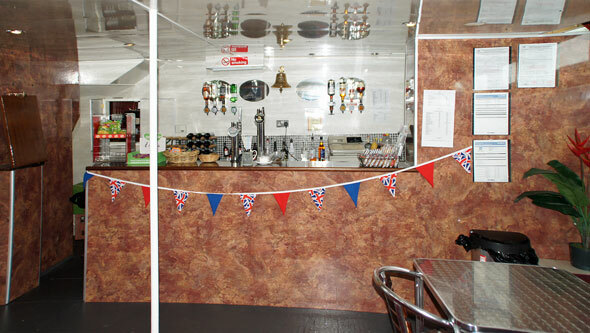 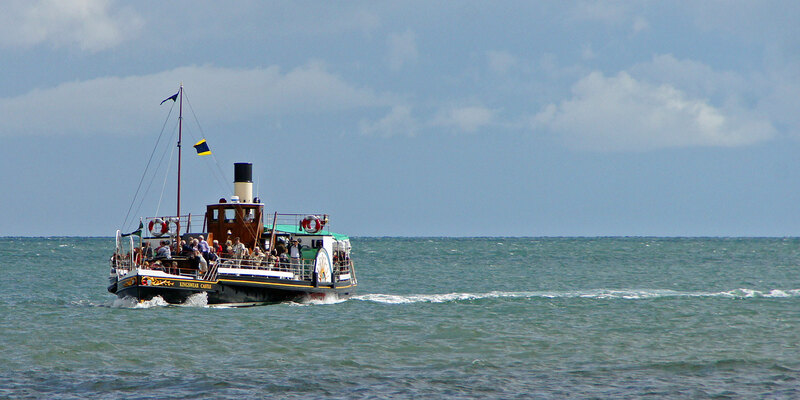 She is used mainly on the Dartmouth-Kingswear ferry. Dart Explorer was built by Voyager Yachts, Millbrook, in 1991 for Dart Pleasure Craft as the Devonair Belle (named after a local radio station). She was renamed Dart Explorer in 2001. 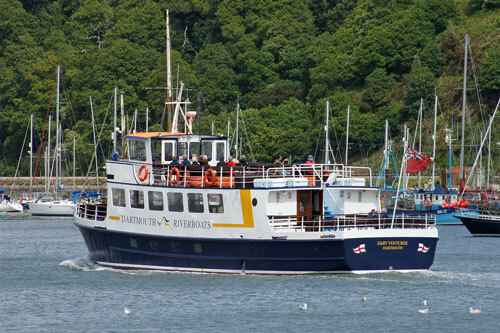 Dittisham Princess was new to G.H.Ridalls in 1995, and passed to Dart Pleasure Craft in 2000. 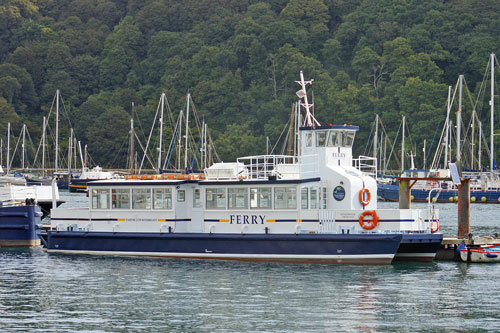 Kingswear Princess was built as Twin Star II, one of three Twin Star ferries used on the Ford Dagenham ferry service.